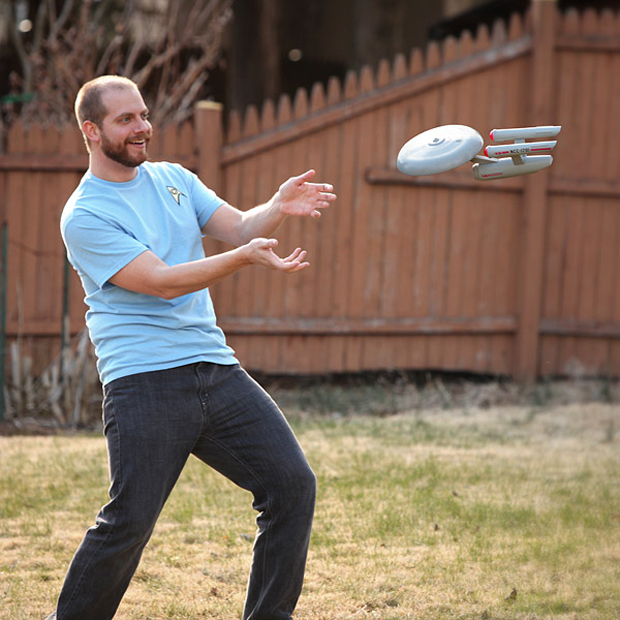 This officially licensed Star Trek USS Enterprise Flying Disc will motivate to you boldly go where no man has gone before: outside. The oddly shaped toy has two parts but is used just like any flying disc. 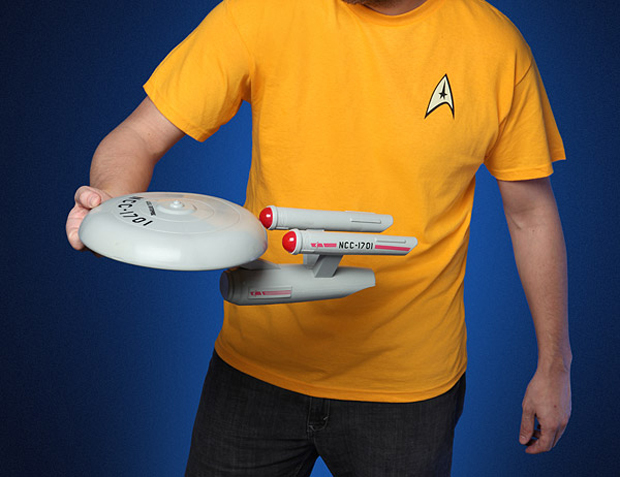 When you throw it, the plastic saucer will spin freely, dragging the foam nuclear reactor and engine parts with it.